September - December 2017 Willow Sculpture Days Dates Released! New Willow Sculpture Days dates at Coates English Willow on the Somerset Levels. Having experienced a very busy Spring, I’m now finally able to release my Autumn 2017 Willow Sculpture Days. Taught on Thursdays, Fridays and Saturdays, these 16 new dates include the monthly Willow Animal Sculpture Day as well as Hare, Sheep & Pig, Heron & Crane, Cockerel & Chicken, Goose and of course the ever popular Reindeer! 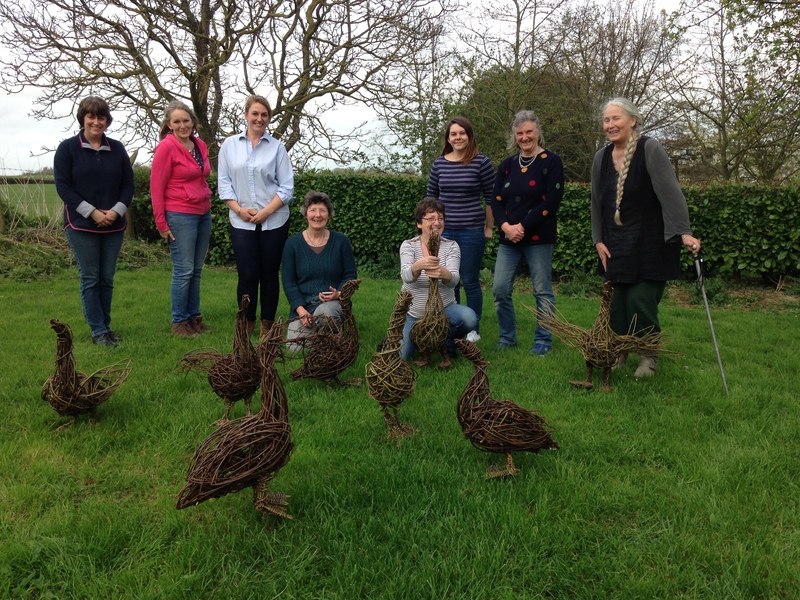 Book your Willow Sculpture Day by going to www.sarahlebreton.co.uk/courses/ click on the ‘Make a Booking Enquiry’ tab and fill out the form. Alternatively please email Sarah at willow@sarahlebreton.co.uk. If you prefer not to book by email do call Sarah on 07905 342091. Payment is accepted by electronic bank transfer or by cheque. On receipt of your online Booking Enquiry Form or Booking Email, I will reply within 5 working days with the availability of places on your Sculpture Day choice/s and payment instructions. I’m again anticipating a high demand for Sculpture Days this Autumn, (when I released my Summer dates I had over 80 bookings in 2 weeks, with nearly 1/2 being from previous Sculpture Day creators or their friends and family!) To help get your place/s on one of my courses I strongly advise that if you can, please offer me a 1st & 2nd choice of date and if you would like to attend with friends or family please make one group booking. Also, whilst my Willow Sculpture Days do make great presents, please note that due to the demand for places, I’m unable to offer a gift voucher service. This is due to the very likelihood that by the time the lucky recipient received their voucher, it is unlikely that places will be available for their chosen date. I therefore advice that, although less of a surprise, if you are gifting a place, please choose the Sculpture Day/s with your lucky recipient and get back to me asap! I look forward to spending a lovely Autumn weaving with you!